Subscription boxes for geeks and gamers are being offered by many companies for their most passionate customers. This is with the intention to get them to try the new products or services early on. It is a win-win situation for both the users as well as the marketers because they are assured feedback from their potential target audience. The consumer is happy too as they get goods worth much more in value than what they pay for which make them a very attractive offering. Subscription boxes are a cache of goods and products that are sent by the manufacturer directly to a consumer. This is done for a very nominal price. It is a gift that you get at regular intervals. This marketing tactic was probably pioneered by magazines and newspapers but is now used by many businesses and websites for promoting their products or services. These might include, free samples, trial packs, new services, new features of a product of service. Most of the time, they are ‘mystery’ or ‘surprise’ boxes, adding a sense of excitement. It is like buying a ‘gift’ for yourself. Moreover, subscription boxes for geeks can fulfill so many needs, maybe you want to gift someone something or simply be loyal to a particular trustworthy brand. It can save you money in the long-term, as you can probably collect points and redeem them later. So don’t hesitate to treat yourself. They can give you wearables, gears, collectibles, comics, and so much more. Subscription boxes are awesome, reliable and exciting. The items could be hand-picked and customized, considering your interest and delivered as gifts. Whether you are passionate about games, tech, sci-fi or anything else, there is something in the basket for all. Subscription boxes are a great way to get good value for money. 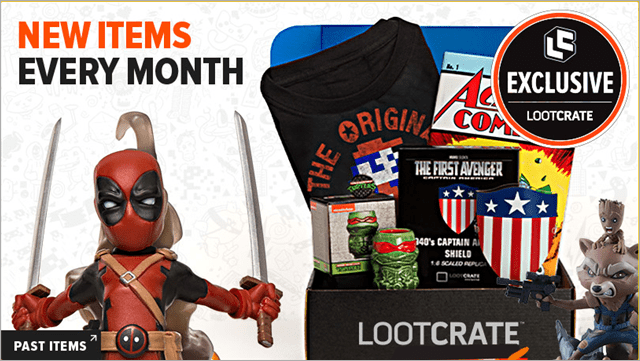 Loot Crate is easily the first choice when it comes to getting a geek subscription box. It has a vast collection of collectibles, wearables, t-shirts, comics, and home goods that many of the geeks would approve of. This is an excellent way to treat yourself with some exciting gifts every month. It comes with a monthly subscription. The items are delivered right on your doorstep. Loot Crate also has other collections under the categories of Loot Crate DX, Loot Wear, Loot Anime, Loot Fright, and Loot Remix. 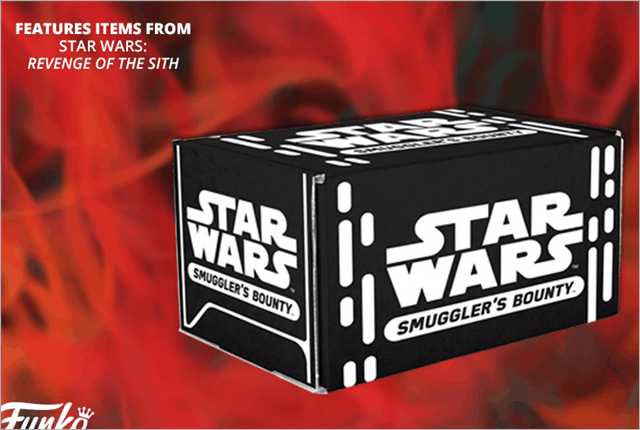 Star Wars Smuggler’s Bounty has the ability to surprise you every time with its exclusive curated subscription boxes for geeks. You may receive four to six awesome collectibles, t-shirts, apparel, from Star Wars and Funko every other month. Everything is designed keeping in mind your passion and interest. Please Note: It ships to U.S and Canada only. Geek Fuel – The name says it all. 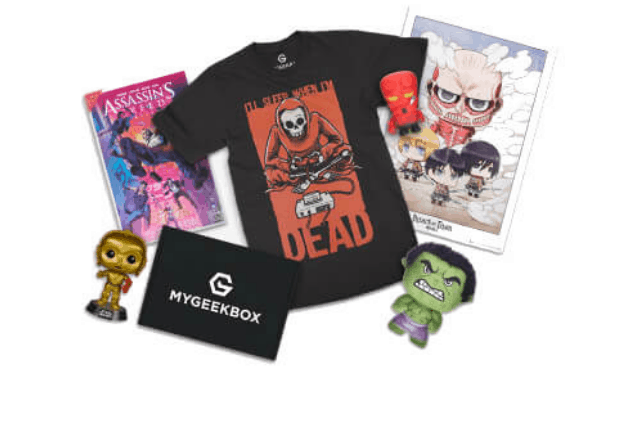 This is geek subscription box has all the good things like tees, hoodies, comics, and other goodies. It may also include Steam Video games, collectibles, toys, and gears. This is a great option for people looking video game subscription box for gamers. The box gives you a great experience with all new and curated goods from the best fandoms, games, books and more. This offers three plans: Quarterly Plan, 2 Quarter Plan, and Annual. Quarterly Plan: $57 per quarter plus $8 shipping charges. 2 Quarter Plan: $55 per quarter plus $8 shipping charges. Annual Plan: $53 per quarter plus $8 shipping charges. ComicBoxer is for all the people who love reading. 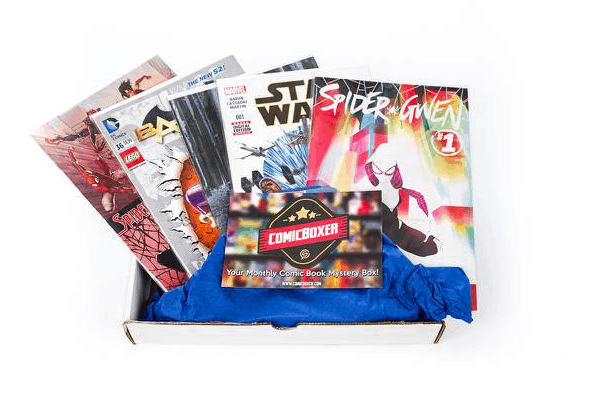 If you like to collect comics then ComicBoxer is a perfect package for you and doubles up as an excellent choice for a geek subscription box. This is where you get some great comic books hand-picked by experts. It has collaborated with major comic book publishers to deliver the best to your doorstep. They have a popular collection also like DC, Marvel, and Image. It sends five or more comic books every month at a reasonable price. Dungeon Crate is a gaming subscription box for gamers, especially for the Dungeons and Dragons fans who also love exploring other Role Playing Games. 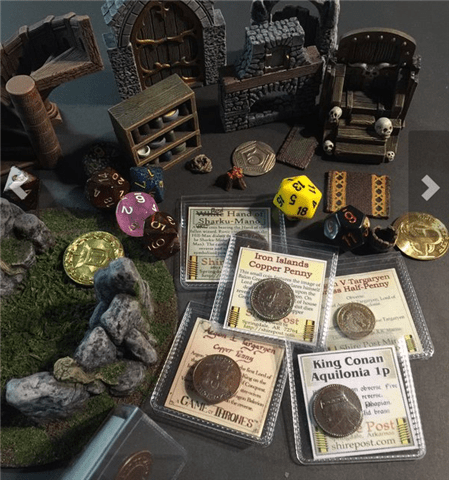 The monthly subscription box includes accessories, geeky lifestyle items, dice, modules, miniatures, dice bags, and other relevant items that they can use in their games. Although, it also has some really cool RPG accessories to make your adventures more exciting. If you are really looking for a great mystery box and love this game, then do go for the Dungeons Crate box. The items are curated to deliver to you the best and the most unique stuff. 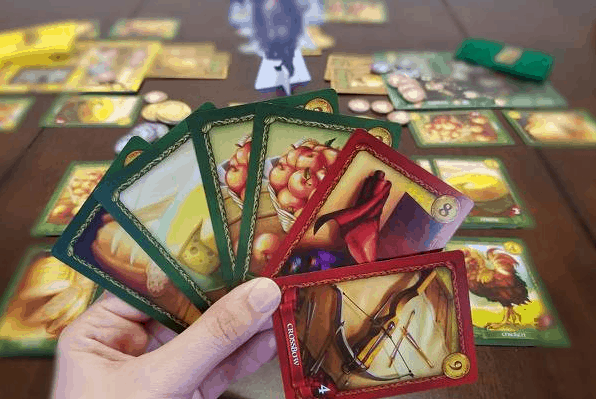 UnboxBoardom is a gamer and geek subscription box that has a versatile collection of board games at the most affordable monthly charges. You are sure to be surprised by something new every month. You do have the option to customize, or you can just choose to get surprised. It includes games ranging from family time to strategic ones and even fun party games. This is the perfect option to spend time and enjoy games with your family and friends with something new each time. 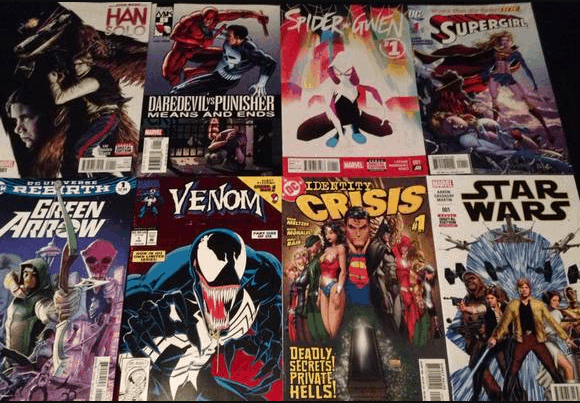 The comic fans will go crazy with what the Comic Mystery Subscription box has to offer. It sends you 15 comic books every month. All the books are first print and in good condition. The comic books include new issues and back issues too. You can message them your favorite characters, and they will do their best to include them with your subscription box. Sometimes you may find some comics that 30-40 years old, almost antique quality, which makes it worthwhile to spend a few dollars. Although, you are guaranteed with at least one exceptional edition comic in each box. Comic Mystery Box is a surely a must-have subscription box for geeks who are crazy about comics. My Geek Subscription Box is a pocket-friendly subscription box for geeks who prefer more value. The monthly mystery box has surprises that are hand-picked by geeks for geeks. It provides you with free shipping. My Geek Subscription Box promises to bring new excitement each month with some geeky gear and cool t-shirts. They have other subscriptions for gamers and kids too. In addition, if you are looking for a gamers subscription box, then they have IGN box subscription, and if you want gifts for kids, then My Geek Box Kids is the perfect option. There are 4-7 collectibles chosen by geeks. Video Games Monthly is a gaming subscription box entirely focused on gamers. They have various plans based on the number of games you want each month. It includes games for Nintendo, Genesis, Gameboy, Gameboy Advance, PlayStation, Gamecube, and many other popular platforms. Simply pick your plan, wait for the shipping, get your box, and play on. 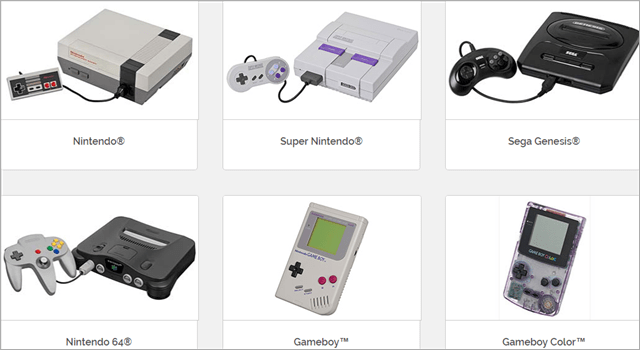 It delivers retro video games to gaming geeks who own classic gaming systems from 80s-2000s. The ZBOX is fun that adds mystery to your delivery of some crazy fun stuff. It is a monthly themed box packed with some beautiful old memories of your favorite film, TV and gaming franchises. This subscription box for geeks includes 4 to 7 products along with an exclusive t-shirt. It has free delivery worldwide. There are various subscriptions choices from one-month subscription to twelve months. Nevertheless, gaming geeks can also try Detectives ZBOX, Battle ZBOX, Nostalgia ZBOX, Warriors ZBOX according to their interests. The Brick Loot subscription box is a perfect blend of awesome gifts and great value at the same time. It includes custom kits with LEGO Bricks by LEGo Designers, LEGO Accessories, and LEGO Minifigures. Furthermore, the box is packed with 4-8 items each month where you can get your hands on the newest brick item before they hit the market. Along with treating yourself every month, Brick Loot is perfect as a gift on Birthdays or Holidays. 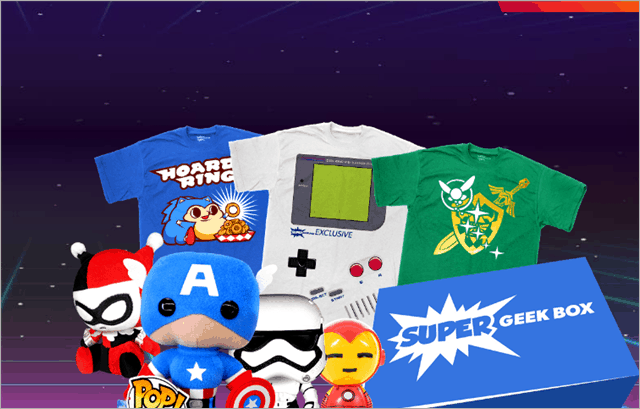 Super Geek Box is a monthly subscription box for geeks and gamers. It has gear featuring some popular names like Marvel, Nintendo, and Star Wars. You can select your favorite plan and cancel anytime you want. It has curated an exclusive collection of some cool gear each month. Now that you have checked out the best subscription boxes list, we hope you will find it effortless to pick your favorite subscription box for geeks and gamers alike and enjoy getting some mystery gifts in the coming days.